Cycling in Andorra in summer is booming and it is because Andorra is cycling territory. 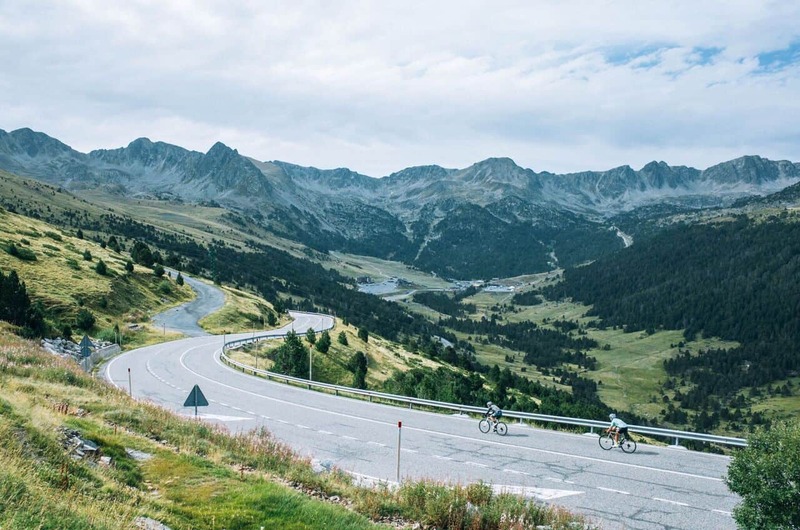 Andorra is a paradise for road cyclists, especially for climbing cyclists or those looking to train at altitude, for the more than 20 cycling cols in Andorra. Cycling has arrived in Andorra, to stay. Not in vain, more and more are professional cyclists in Andorra, who settle in Andorra and professional cycling teams that train in Andorra. In addition to the Catalan Joaquim “Purito” Rodríguez, other active cyclists have chosen Andorra as Esteban Chaves, Dan Martin, Dani Moreno or Jonathan Castroviejo, and members of the Movistar team such as Marc Soler, Imanol Erviti, Carlos Betancur and José Joaquín Rojas. Also in Andorra are professional cyclists from the Michelton-Scott team, previously known as the Orica team. It is not surprising to see many of them train on the roads of Andorra. Andorra, is a very attractive country for any cyclist and cycling lovers, especially in summer, thanks to the geography of the country with numerous mountain passes and cols for cyclists in Andorra, for its roads, for the altitude and the possibility of cycling training in height in Andorra, and for the quality of life. 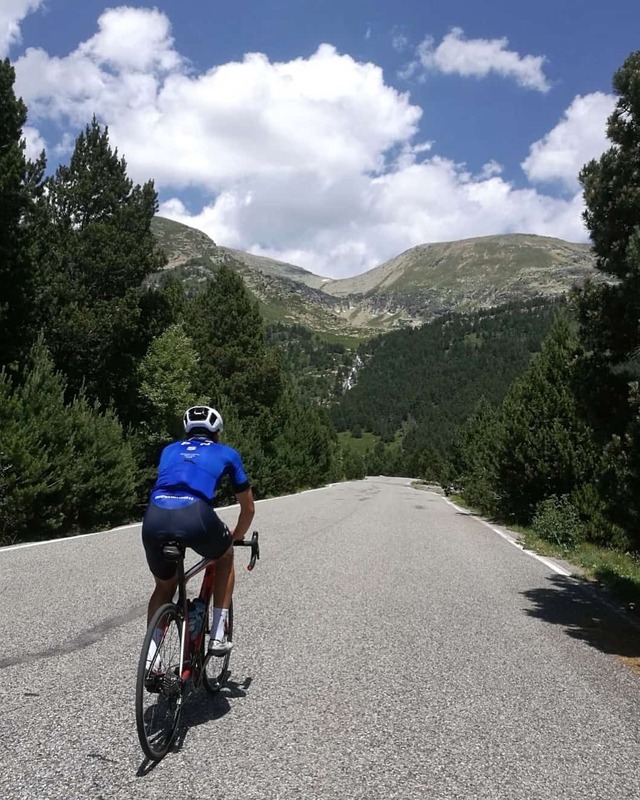 Andorra, is known among cyclists for the hardness of the many mountain cycling cols and passes in Andorra that you can find, the spectacular nature of the mountain landscapes and the richness of the cultural heritage, especially in Romanesque art. As you can see, cycling enthusiasts in Andorra are serious. Andorra is a cycling paradise, especially in spring, summer and autumn. Cyclists from all over the world visit our mountain passes, cols and climbs, without a doubt one of the best ways to discover Andorra. Do not miss discover Andorra on a road bike. In Andorra you will find 21 mountain cols for cycling. It’s easy to say … right? Andorra is a cyclist territory. And that’s why La Vuelta (spanish professional cycling tour) and Le Tour de France (french professional cycling tour) choose Andorra for some of its queen stages with mountain passes. 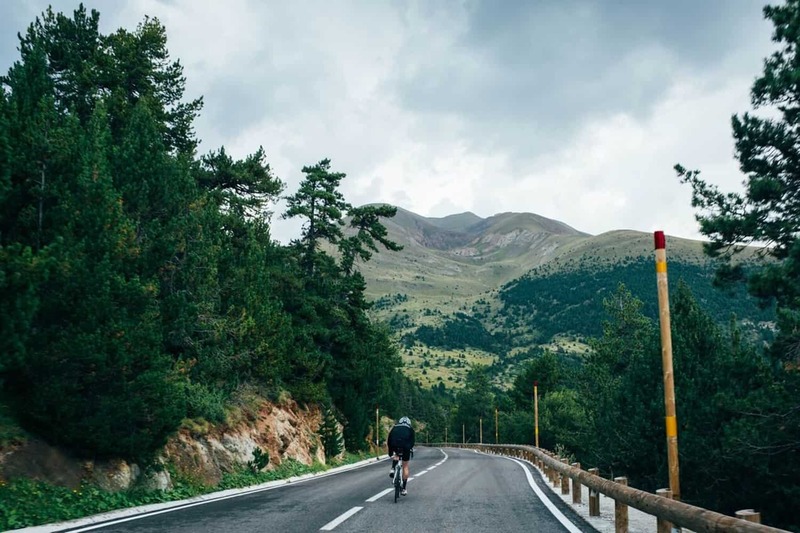 Next, we leave you some links with all the information about cycling routes in Andorra so you can plan perfectly your cycling days in Andorra. This is the official cycling guide in Andorra, where you will find each and every one of the possible cycling routes in Andorra, with the technical sheet of each cycle route of Andorra indicating the mileage, altitud gained, difficulty, % average gradient in each section, and even curiosities of the route to enjoy the landscape. Also, include the QR code to download the track. 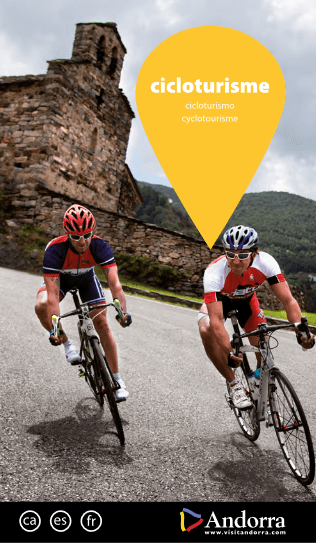 Click here to download the official cycling guide in Andorra. 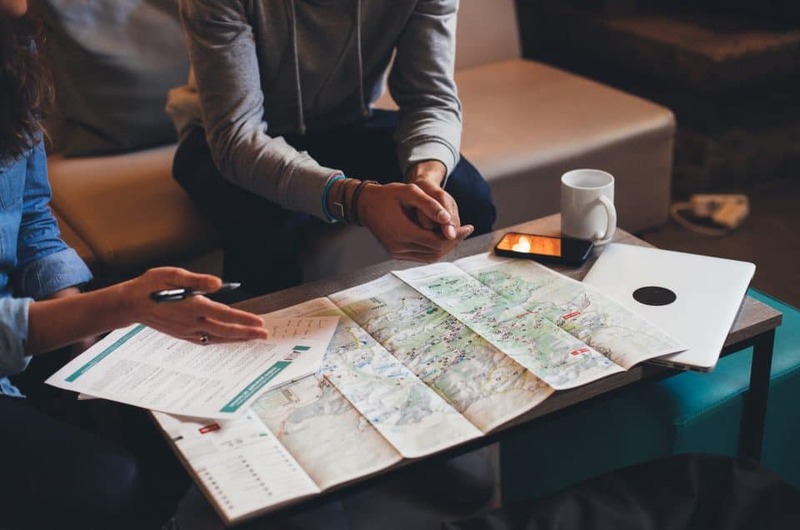 You also can find all the information online, with the technical sheet of the 21 cycling routes in Andorra, where you can filter by location for a better planning of your cycling route in Andorra. Click here to access the official cycling website in Andorra and access the technical sheets of the 21 cycling routes in Andorra, and where you can download the track of each Andorra cycling route. It is a local cycling tour of Andorra, but in 2019 it will reach the 42nd edition. A date that stays true with all cycling fans who want to know Andorra by bike. Normally it is celebrated the first weekend of July, and has 4 cycling routes in Andorra, from 1 to 4 stars, depending on the difficulty. The routes range from 27km to 109 km for cyclists of medium high level, to face 4 high mountain cols: Coll de la Rabassa, Coll de la Comella, Collada de Beixalís and Coma d’Arcalís. 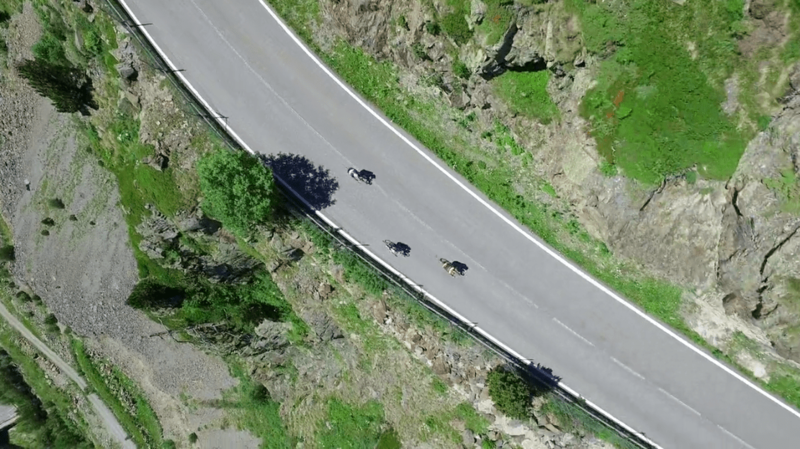 Take a look at this beautiful video to get the idea of La Volta als Ports d’Andorra, sure you can not resist to try in the next edition. An appointment that has no waste in the cycling world, in Andorra. Joaquim Rodríguez Oliver, known by all as “Purito”, organizes every year “La Purito” in Andorra, the cyclist tour that runs through the main mountain passes and cols of Andorra. In 2018 “La Purito” will reach the 4th edition, and each year it exceeds the record of attendees from the previous year. This year, registrations close to 2,000 participants. Normally La Purito is celebrated on the first Sunday of August, so this year 2018 the appointment is on August the 5th. La Purito follows the same route as the legendary mountain queen stage of La Vuelta 2015 (spanish professional cycling tour), the eleventh stage, considered by many to be the toughest stage of La Vuelta. That year Purito finished it, but the victory of the stage was taken by Mikel Landa. La Purito 5.2. his is the hardest, for the most prepared and the bravest. 145km of cycling in Andorra passing through the Col de Beixalís, Col d’Ordino, La Rabassa, Col de la Gallina, La Comella and ending with the ascent to the Cortals d’Encamp. In addition, La Purito Kids is also organized for children between 5 and 14 years old. 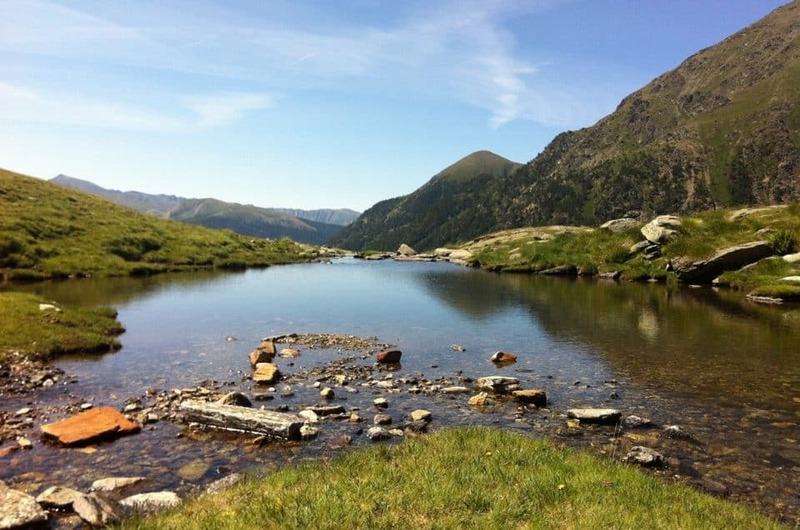 Check here the different routes of La Purito in Andorra. More information about La Purito and inscriptions here. 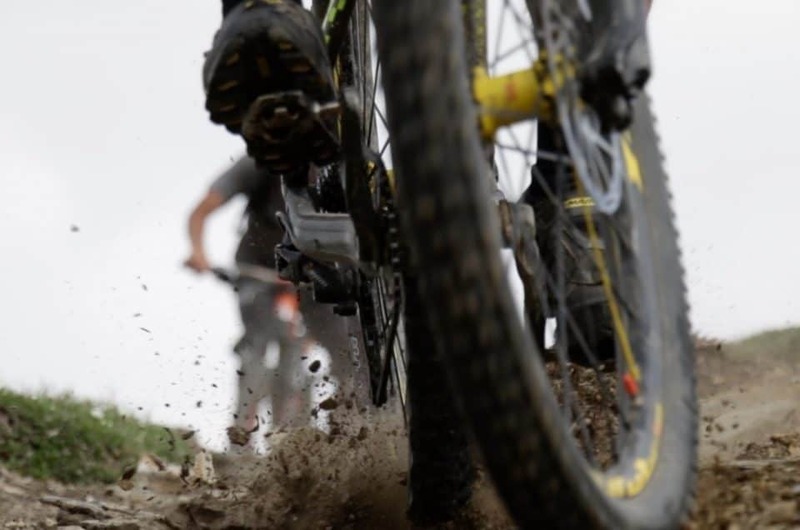 Although this will be only the 4th edition, La Purito is already a consolidated cycling event in Andorra and one of the most anticipated of the cycling calendar. In 2018, Andorra will host La Vuelta a España on September the 14th and 15th. On September the 14th we will be able to witness the end of the 19th stage of La Vuelta in Andorra, and the 20th stage, on September the 15th, will be entirely in Andorra. An essential date in Andorra for cycling enthusiasts, to see in first person the best professional cyclists in the world. If you want to spend that week of La Vuelta 2018 in Andorra, we have the perfect plan, with our friends and collaborators Le Bike Stop from Sitges: A cycling training camp in Andorra, for a week, from the 9th to the 16th September, coinciding with La Vuelta 2018 in Andorra. At Mountain Hostel Tarter we are cyclists and cycling fans. And that’s why we have all the services a cyclist needs when he is away from home. Not in vain, we have achieved the bike friendly quality seal, for being the accommodation for cyclists in Andorra. And the pictogram of the Government of Andorra as a hostel specialized in accommodating cyclists. Obviously, we have all the services that a cyclist needs for his/her bicycle, because we know that your bike is the same or more important than you! At Mountain Hostel Tarter you can use our closed box to store your bicycle while you are not using it, with individual and group padlocks. You also have at your disposal our workshop space, with basic tools to assemble your bike when you arrive, for simple repairs, or simply to check your bike and leave it ready for the next day. Of course, you have an air pump at your disposal. If you want to clean it, in our washing space, you can always use pressure washing, and paper to dry the bicycle well after washing. 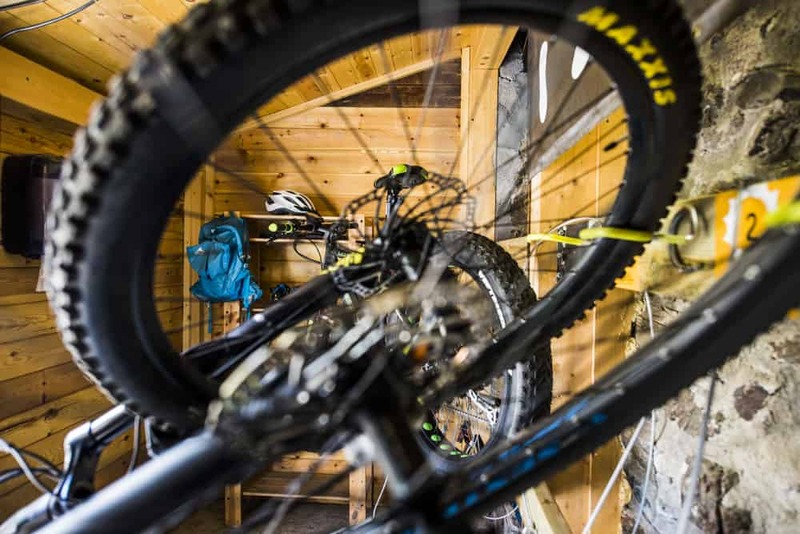 If, on the other hand, you prefer to come without luggage, at Mountain Hostel Tarter we can help you rent a bicycle for your cycling days in Andorra. We know all the specialized stores in the country, and we are sure that we will find a bicycle adapted to your needs and expectations, including those on the road. In Mountain Hostel Tarter you will find all the facilities and services of a 5 star hostel, for cyclists like you. 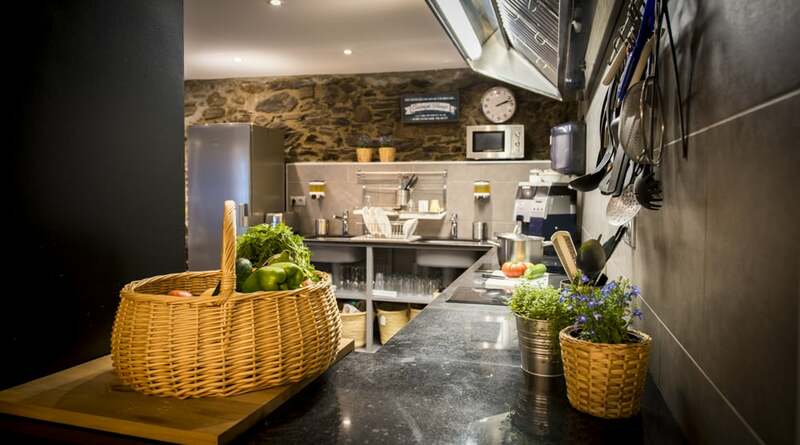 In our large kitchen, open and shared, you can cook what you want, so you can continue with your favorite diet. The kitchen is super equipped, with everything to cook and eat whatever you want and when you want. The best? Our outdoor pool-jacuzzi. When you finish your cycling route in Andorra, or your daily training, it is best to relax your muscles in our jacuzzi, with hot water, and with a whirlpool. And with spectacular views, in the mountain. Are you looking for a house for cyclists in Andorra? This is your house. 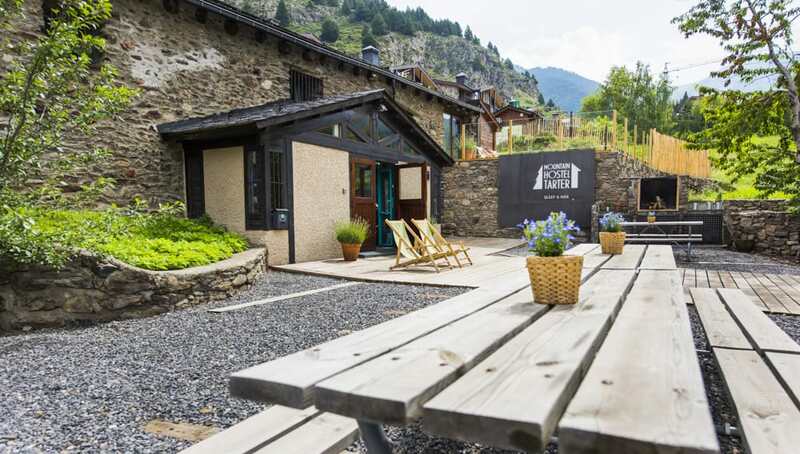 You can rent the whole Mountain Hostel Tarter, exclusively for your cyclist group or cycling team in Andorra. So you have the whole house, whole and exclusive, for you and your cycling group. To be able to enjoy all the facilities and services of the Mountain Hostel Tarter exclusively. 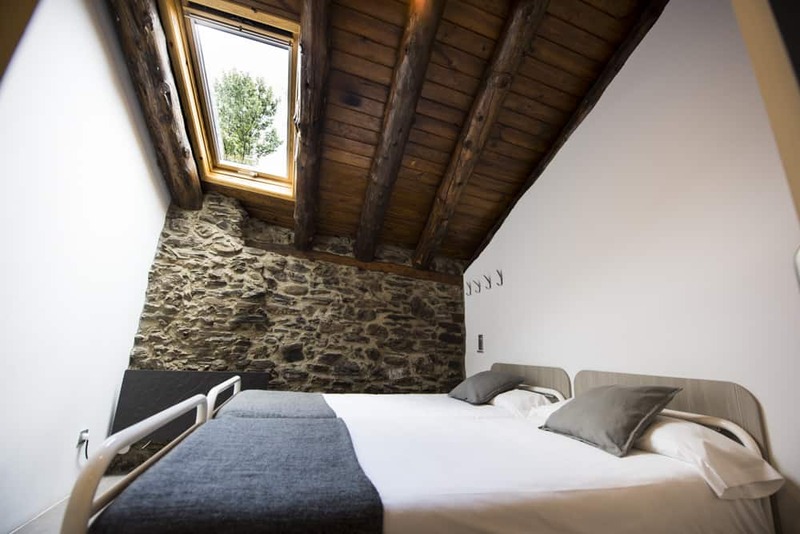 A rustic and cozy house, in the mountains, in Andorra, 1,750 meters above sea level, with equipped kitchen and outdoor pool-jacuzzi. 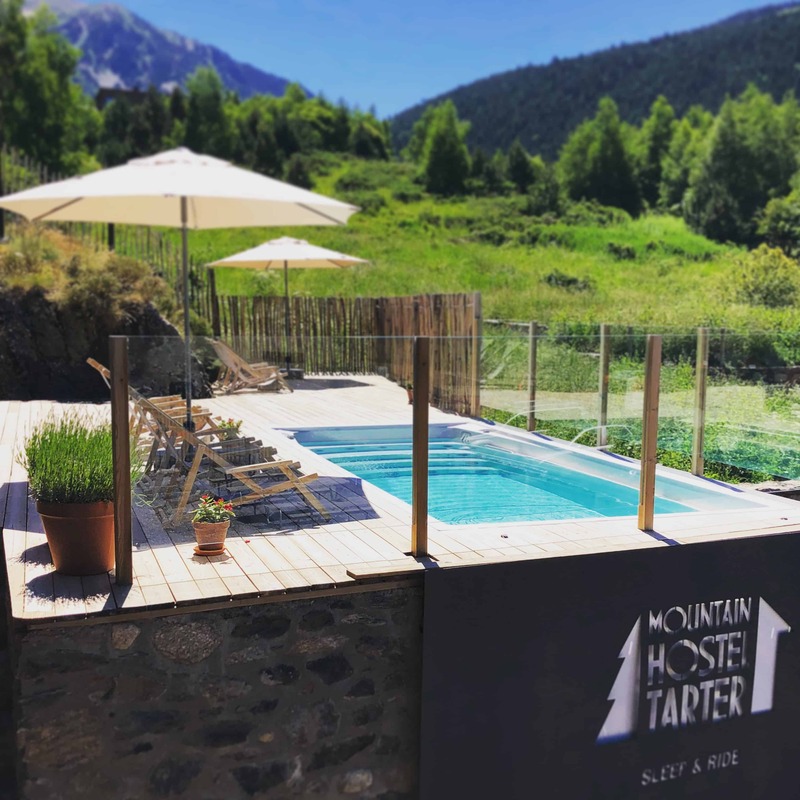 Mountain Hostel Tarter is a borda, a typical mountain house in Andorra, in El Tarter, with more than 200 years old, completely renovated and equipped with all the facilities for a comfortable stay. Take a look at our photo section.